Click here to view the NATA on USG Testing article. RE-PEN-CASE Pen Carrying Case (Pen Series Refractometer) P.O.R. Auto Temp Compensation (ATC) - no more temp conversion charts!!! FAST & EASY sample testing - will save you time!! 2005-06 Wrestling Rules Changes - In 2005, the National Federation of High Schools (NWFS) has made it mandatory (beginning in the 2006 wrestling season) to test all student athletes for dehydration.1-3: Beginning in 2006-07, each state association shall develop and utilize a weight-management program that includes a specific gravity not to exceed 1.025; a body fat assessment no lower than 7% males / 12% females and a monitored weekly weight loss plan not to exceed 1.5% a week. 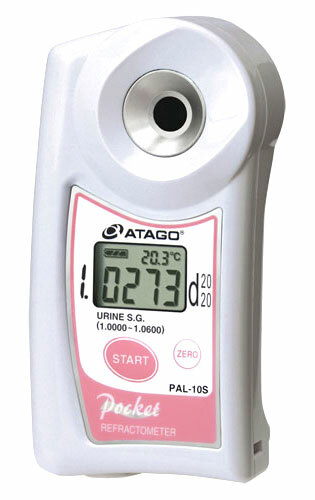 RE-29410 Master Carrying Case (Master Series Refractometers) P.O.R.